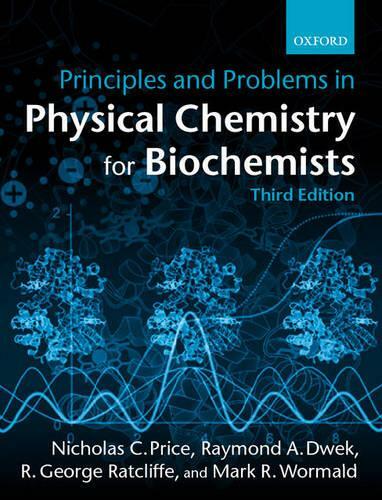 What use is physical chemistry to the student of biochemistry and biology? This central question is answered in this book mainly through the use of worked examples and problems. The book starts by introducing the laws of thermodynamics, and then uses these laws to derive the equations relevant to the student in dealing with chemical equilibria (including the binding of small molecules to proteins), properties of solutions, acids and bases, and oxidation-reduction processes. The student is thus shown how a knowledge of thermodynamic qualities makes it possible to predict whether, and how, a reaction will proceed. Thermodynamics, however, gives no information about how fast a reaction will happen. The study of the rates at which processes occur (kinetics) forms the second main theme of the book. This section poses and answers questions such as `how is the rate of a reaction affected by temperature, pH, ionic strength, and the nature of the reactants? These same ideas are then shown to be useful in the study of enzyme-catalysed reactions.